In July of 1985, Allen Ginsberg asked Michael Vander Does if he would like to play with him during his reading at the Park of Roses in Columbus, Ohio. When Michael equivocated, Allen said, “Do you want to have some fun or not?” Put like that, Michael, of course, agreed. After their performance, Allen encouraged Michael to pursue the blending of his poetry and his music. The JazzPoetry Ensemble grew out of this encounter. At first, Michael was joined by Michael Sisson on bass. Over the years, the ensemble personnel grew and shifted. The frequency of their performances varied, but every year they played the Hot Times in Old Town festival on Columbus’s near east side. In 1992, Vander Does and Sisson were awarded an Ohio Arts Council grant for individual artists. They used the grant to publish Inca Blues: Poems and Translations from the Jazz Poetry Ensemble. In the mid 1990s, the group had a good run playing regularly at Kent Rigsby’s K2U. During this period, the Vote For Me program was conceived. Eventually, Vote For Me culminated in a write-in candidacy as part of the artwork. In 2003, the core of the current band performed at Hot Times and the new JazzPoetry Ensemble was born. 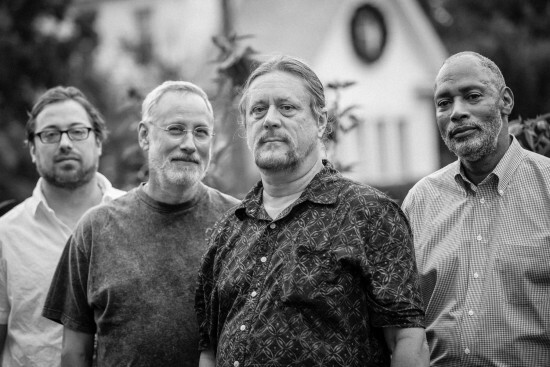 Today’s personnel is Roger Hines on bass, Roger Myers on drums and percussion, Brett Burleson on guitar, and Michael Vander Does on trombone and poetry. In the winter and spring of 2004, they revived Vote For Me as a commentary on that year’s election process. They performed regularly at 2CO’s Cabaret and honed the new ensemble’s vision and cohesiveness. After the 2004 elections, an impromptu performance at the Dell Restaurant inspired the Freedom is a Constant Struggle program and led to the expansion of the ensemble. The first performance of the Freedom is a Constant Struggle program was at the 2005 Columbus Community Festival (Comfest), where they have performed for each successive year. In 2006, The JazzPoetry Ensemble released a live performance of this program, in an emotional performance recorded at Hot Times immediately following hurricane Katrina. In 2007, the ensemble began performing what eventually became The Black President Suite, premiered in 2009 at Comfest. In 2007, Michael Vander Does was awarded a Puffin Foundation grant for his work with the ensemble. Beginning in 2012, the JPE has collaborated with jazz legend Edward “Kidd” Jordan on the annual Hot Times Tribute to Kate Schulte. Others who have worked with them on this series include D.D. Jackson, Marlon Jordan, and Hamiet Bluiett. The Puffin Foundation has provided support for this series. In August 2015, they released the CD, Thanamattapoeia: Live at Natalie’s Coal Fired Pizza and Live Music, recorded with Kidd Jordan during the 2014 Kate Schulte Tribute.